Circle of Care, part of Sinai Health System, is a leading not-for-profit home care provider for individuals living in the Greater Toronto Area. Our staff and volunteers simplify everyday life for more than 16,000 clients and their families each year, helping them preserve their independence and live comfortably at home. In 2015, Circle of Care became part of Sinai Health System – four unique organizations that came together to build a seamless continuum of care. By joining together with Bridgepoint Active Healthcare, Mount Sinai Hospital and the Lunenfeld-Tanenbaum Research Institute, we are leveraging the power of connections to create a better experience that centres around patients, their families and their health goals. Canada’s leading integrated health system, pushing the boundaries to realize the best health and care from healthy beginnings to healthy aging for people with specialized and complex care needs. In June we launched our 2017–2020 Strategic Plan, designed to act as a roadmap for success, and in alignment with the Vision, Mission and Values we share with Sinai Health System. Within this plan, we define the strategic priorities that reflect our commitment to transforming the delivery of care to better meet the needs of clients and caregivers. Click here to read Circle of Care’s Strategic Plan. Reflecting on our accomplishments over 2017-18, one thing is clear: Circle of Care didn’t just dip its toes into the water this year; we dove in, head first, and barely paused to come up for air. Click here to read Circle of Care’s Annual Report. In 2018, Accreditation Canada recognized Circle of Care to be among the country’s highest-ranked home and community support agencies by awarding us with Exemplary Standing, an a perfect score of 100%. Read more about this remarkable achievement. 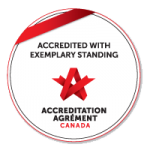 Circle of Care has achieved Level Two Accreditation in compliance with the standards of the Hospice Association of Canada. 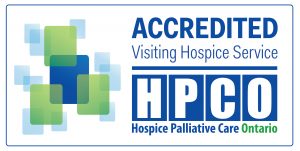 Achieving this recognition, indicates that Circle of Care’s visiting hospice programs are high quality and consistent with hospice programs throughout Ontario. 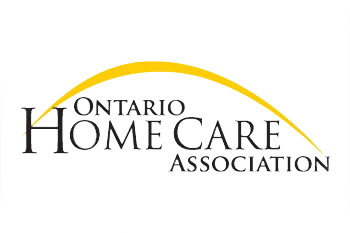 Circle of Care is a proud member of the Ontario Home Care Association and the Ontario Community Support Association. Circle of Care is also proud to participate in the North York West Sub-Region Collaborative Table. Circle of Care is proud to be a supporting partner for the Bathurst-Finch Hub. The first floor houses community agencies offering services such as counselling, employment services, seniors’ activities and youth groups. There is also space that community groups can use including a kitchen and meeting rooms. On the second floor, there is a health clinic with family doctors, counsellor, dietitians, chiropodists and health promotion staff from Unison Health and Community Services. Circle of Care provides 24-hour personal support services in the following locations to tenants who meet the eligibility criteria: 6250 Bathurst St., 155 Kendal Ave., 45 Patricia St., and 4455 Bathurst St.
Circle of Care is a partner in the Ontario Caregiver Coalition (OCC). The OCC’s focus is to advance the interests of caregivers in the province. It is a group of diverse organizations that work to raise the profile of caregivers and to promote public policy to support caregivers. Membership includes those from health charities, unions, academia, home health and community support agencies, and informal caregivers. Health Links is a model of care that supports patients with complex medical and social needs and their health care providers. Health Links is centered on a simple concept: physicians, specialists, hospitals, home care, long-term care and community services working together with patients, families and caregivers to better coordinate care.